From roasted to pan fried, from grilled to breaded, this selection of savory pork chop recipes will give you many tasty options for your mealtime. Bone-in or boneless, thick-cut or thin, budget-friendly pork chops are a favorite option for breakfast, lunch, or dinner. If your family enjoys breakfast for supper, they will love Pork Chop Sandwiches with Gravy and Grits. Southerners love their fried meat and gravies but also want to make more healthy choices. So we lightened things up in Fried Pork Chops with Cream Gravy by using nonfat buttermilk in the batter and fat-free milk in the gravy; a little less fat, but just as much taste. Skillet Pork Chops with Apples and Onions comes together in one pan for a delicious and impressive weeknight meal. Pork chops are easy and convenient; keep the entire meal fuss-free and choose one of these 5-Ingredient Sides to round out your meal. We love a rub. It's easier and less messy than a marinade and gives through-and-through flavoring. We especially love a chile rub. Spices like paprika and dried thyme are perfect for a smoky pork chop. Make sure that you marinate the pork chops for 8 to 12 hours prior to grilling to make sure the meat absorbs the flavor. While you’re at it, make sure you soak your wooden skewers in water for 20 minutes before placing them over the grill to avoid burning. Cooking the pork chop over a grill instead of in the oven allows for shorter cooking time and a crispier exterior, and the grilled okra make this a perfect dish for summer gatherings. These grilled pork chops with a rich apple-bourbon glaze requires only a few ingredients, but packs a big flavorful punch. 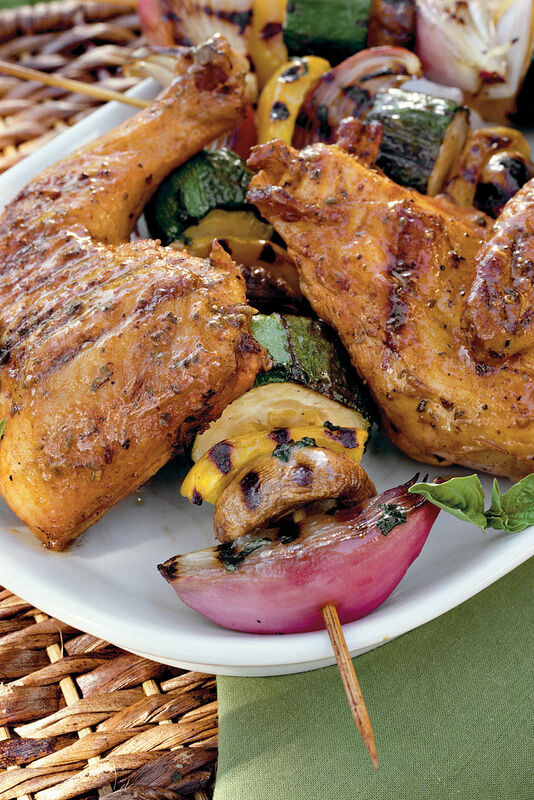 Make sure you prepare the marinate at least 12 hours in advance – let the chops soak for 24 hours for maximum flavor. The key to success here is to brush the Apple-Bourbon Glaze on the chops during the last few minutes on the grill, turning and brushing often to create a layered, lacquered look. Garnish the chops with grilled halves of small apples brushed with the glaze. Serve with rice and homemade beans for a complete Southern spread, and finish the meal with an apple dessert. If you like crispy, savory, rich dishes, the crunch of these baked pork chops will be utterly satisfying for you. No overnight marinating period required for these – all you’ll need is a large, resealable plastic bag for covering the chops in the panko breadcrumb coating. After you pop the pork chops in the oven, all you need to do is whip together the mustard sauce. But we have to warn you ahead of time: our readers and reviewers report that this fantastic sauce is so good that they often double the recipe and serve the chops with extra sauce. Serve with rice and vegetables for an easy, delicious weeknight meal. Looking for a use for the basil growing in your herb garden? Look no further. 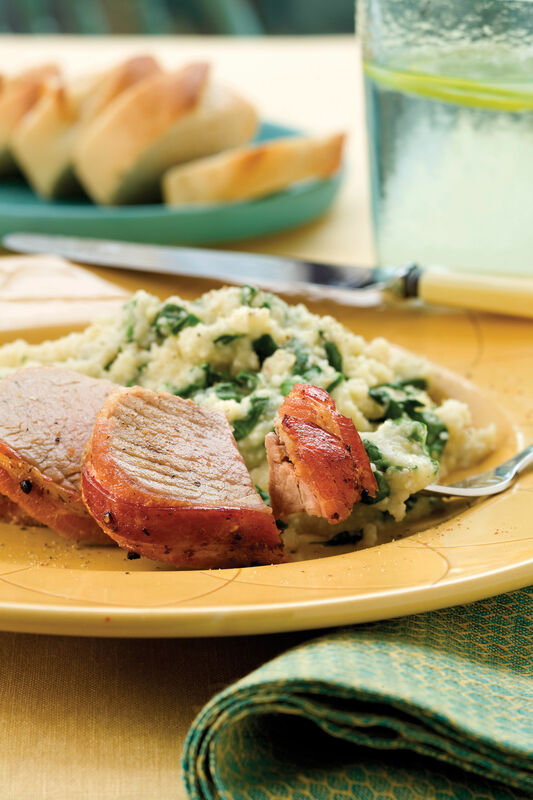 The basil butter in this pork recipe is the star here. It seasons the pork and adds an herby, rich flavor to the roasted squash (we suggest making extra and using it later for caprese bruschetta or basil pasta). After making the butter the night before and refrigerating it until solid, the entire entrée can be finished in just under 20 minutes. If you don’t have squash, sub whichever vegetables you have on hand – the simple basil, shallot, salt, and pepper seasoning tastes good over nearly everything. Your family and guests will love these flavorful pork chops with a crunchy almond topping. It’s simple to make and highly flavorful. Lemons, sugar snap peas, and garlic make it perfect for summer, and the spices make a chop so flavorful that you won’t even need to marinate it prior to cooking. If you plan on serving it alongside a salad, double the vinaigrette recipe and use it to compliment the flavors found in the pork, quinoa, and snap beans. For perfectly fluffy quinoa, make sure that after simmering it, you let it stand, covered, to steam. After 10 minutes, fluff it with a fork. Ah, grits and gravy. In the South, breakfast for dinner is always a welcome surprise for all family members – especially if it includes thinly cut pork chops and hot sauce, like these Pork Chop Sandwiches with Gravy and Grits. Although this recipe calls for frozen buttermilk biscuits to make the sandwiches, if you have the extra time on your hands, throwing together some homemade biscuits really does pay off. You can even make them in advance and freeze them ahead of time, for occasions like this one. Serve these biscuits with fruit for a well-balanced meal. This famed menu item from Snappy Lunch may be the messiest pork dish in North Carolina. A pan-fried pork tenderloin topped with chili, coleslaw, lettuce, and tomato oozes flavor with every bite, and will keep you full until suppertime. Load up the fried pork with plenty of mustard and coleslaw for a real Southern treat. Looking for variations? Try some of our favorite coleslaw recipes, like fennel slaw or Texas slaw. For traditionalists, we might suggest sticking with South Carolina slaw. Make sure you allot at least an hour for your slaw to chill before topping the sandwich for the perfect blend of hot, crispy fried pork with cold, refreshing slaw. One of our readers’ favorite ways to cook a pork chop, this recipe balances Southern comfort with health. The panko-breaded pork chops are easy to make and full of crispy flavor; no marinating necessary. Our Caramelized Onion Gravy is made with low-fat milk for a lighter take on a classic Southern gravy, but don’t worry - the caramelized onions retain all the savory flavor of the traditional dish. Serve it with Apple-Cabbage slaw for a colorful, flavorful, and fresh vegetable side. Afraid you are serving to a picky eater? Try the versatile panko frying technique with chicken, beef, or veal cutlets. Full of peppery flavor, these pork chops are surprisingly easy to make. All you'll need is a jar of jalapeño pepper jelly, basil, and white wine. 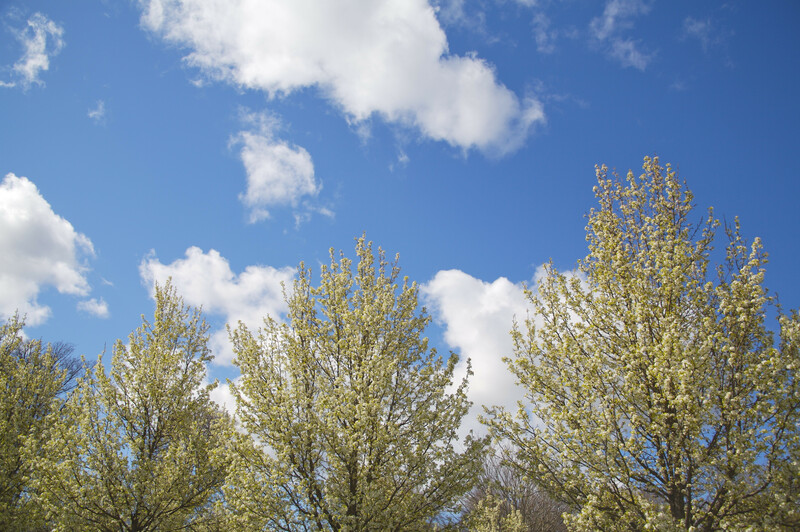 When choosing a white wine, opt for a dryer blend with a low sugar percentage. 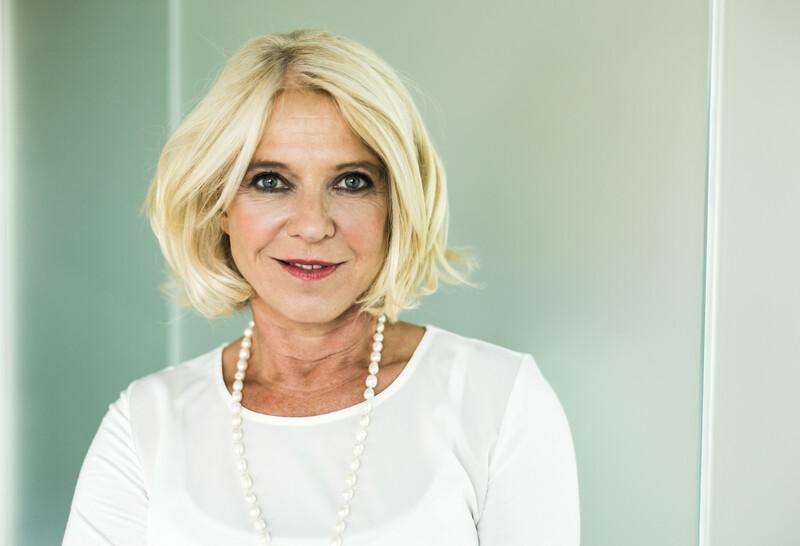 Sauvignon Blanc, Albariño, Chardonnay, and Muscadet are very dry wines; but Pinot Blanc, Pinot Grigio, Viognier, and Riesling will also work. Don’t worry about marinating your bone-in pork chops overnight. Just combine the pepper jelly, dry wine, and basil over low heat, and throw them in a zip-top freezer bag for 30 minutes. Choose thinner, 1-inch chops for quicker grill time. Turn basic skillet pork chops into a main dish that's company-worthy by drizzling a tangy balsamic glaze reduction over the boneless pork chops. Your guests will feel like they’re at a 5-star restaurant, and you’ll be impressed by the simplicity of this pork chop recipe. The chops soak up flavors of rosemary, garlic, and balsamic vinegar – all ingredients that every Southerner has sitting in their pantries, and kids love the great flavor in this 30-minute recipe. 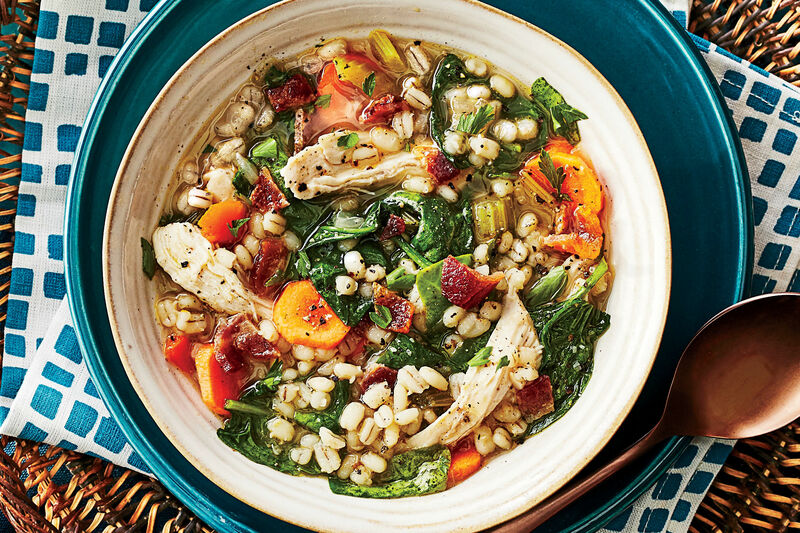 Complete the meal with a side of long-grain and wild rice mix. The versatile balsamic reduction and fresh rosemary also work well when served over chicken breast. Don’t be intimidated by the name – this mouthwatering recipe is so easy to make, and you'll get rave reviews from your family and guests. The sauce's sweet-and-spicy combination is so delicious that you will find yourself licking your plates. Tired of dry pork? The rich barbecue and maple syrup coat the pork and helps ensure that your chops will not turn out too dry. Incorporating melted Gouda into your grits takes them to a near-heavenly level of perfection. Gouda’s sharp yet sweet, buttery, and nutty flavor profile dresses up the beloved Southern dish. 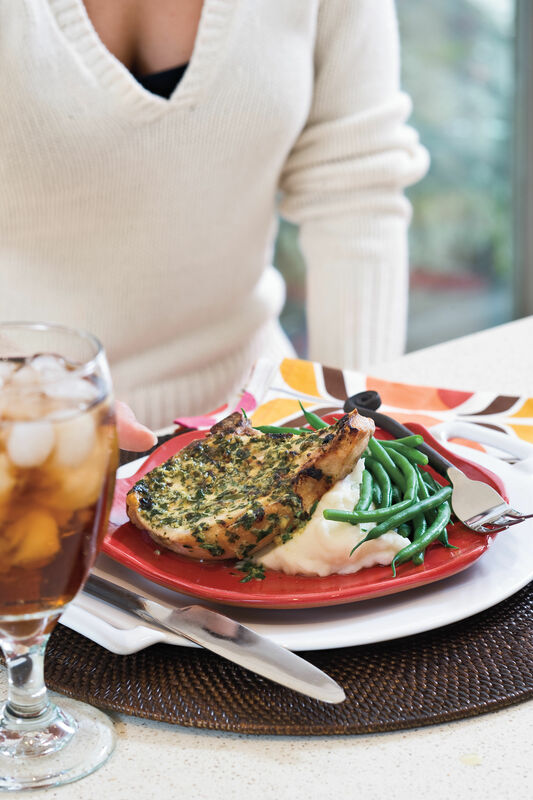 Trust us - this pork chop recipe will easily become a staple in your home. 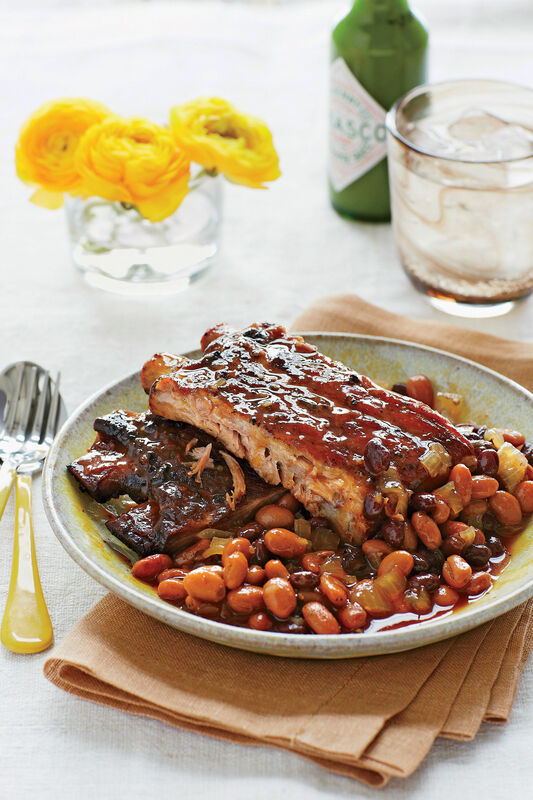 A bottle of your family’s favorite barbecue sauce and sweet orange marmalade will help you get this meal ready fast! Sweet orange marmalade is slightly less bitter than traditional orange marmalade, but if you’d prefer a less sweet sauce, either works fine in this recipe. Soy sauce will help to offset the sugary-sweet marmalade mixture as it caramelizes on the grilled pork chops, and red pepper adds the perfect amount of heat. We used Jack Daniel’s Original No. 7 Barbecue Recipe Grilling Sauce. Using thin, boneless pork chops will reduce the cook time even more. Even picky eaters will love these flavorful pork chops. It doesn't get much more Southern than fried meat with creamy gravy. We lighten up or buttermilk batter with nonfat buttermilk, and lighten the cooking spray with fat free milk. The gravy gets its flavor from another secret of the Southern kitchen – by recycling the pan drippings from the meat preparation to add rich, finger licking flavor. 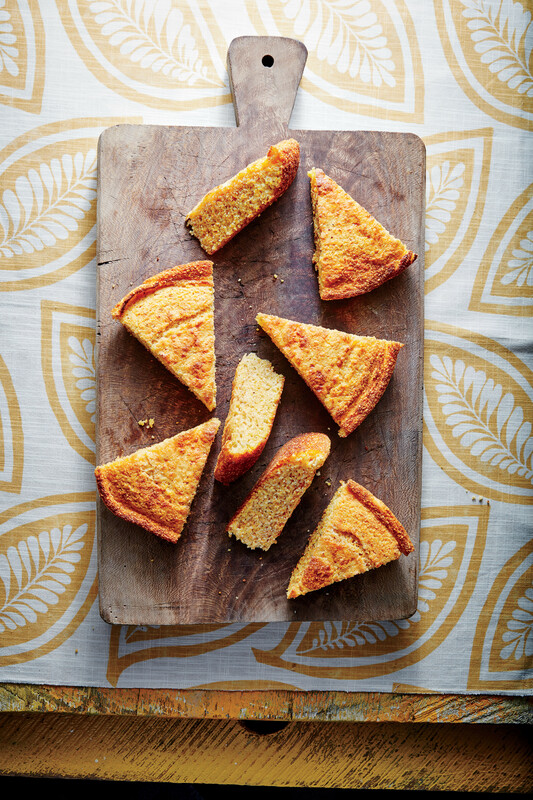 Serve with cornbread and mashed potatoes to round of this easy Southern supper, and substitute chicken or steak for added variety. Reader submitted tip: To cook this dish like a Southern grandmother, after you’ve finished making the gravy, add the pork back to the pot and simmer over low heat for 15 minutes for fall-off-the-bone meat. An herb-mustard butter is not only delicious on pork chops, but it gives them an impressive finish that is definitely worth presenting to company. With a prep time of less than five minutes, you can serve these for an easy weeknight meal or at a dinner party. No one will know they took less than 30 minutes to make. Serve with brown rice or mashed potatoes, and add a sprinkle or brussels sprouts or green beans for balance. We suggest making a little bit extra of herb-mustard butter – your guests and family will love it so much, they’ll try to add a dash to their entire plates! Try Tuscan pork chops for a rustic Italian-inspired dish that's totally impressive yet ready in a flash, and budget-friendly. You don't have to sacrifice taste for speed! Tuscan Pork Chops are packed with flavor and take less than 20 minutes to make, and are great for your family because they are easily adaptable to your unique tastes. The simple flour, salt, and pepper coating can be dressed up with herbs like oregano, or made crunchier with crushed corn flakes. Capers, garlic, parsley, and balsamic vinegar give these pork chops a show-stopping Italian flavor that’s sure to please adults and children alike. Tired of mashed potatoes and broccoli every night? In less than 20 minutes you can have these flavorful oriental Asian Pork Chops ready to serve. Don’t forget to check your pantry before you start cooking, to make sure that you have all the necessary supplies. You'll be surprised the great Asian flavor came from just four key ingredients: hoisin sauce, cider vinegar, sweet chili sauce, and garlic powder. We used Maggi Taste of Asia Sweet Chili Sauce, for testing purposes only. In addition to cooking up a crowd-pleasing Asian dish, once you make the simple sauce once, you’ll want to put it on everything from stir-fry to snap peas. Originally, the word ripieno means “stuffing” or “padding” in Italian, and is a musical term used in reference to an instrument that accompanies or strengthens an orchestra. In cooking, the word kind of works the same – a ripieno stuffing strengthens whatever meat or vegetable in you incorporate it into. In this recipe, asiago cheese, breadcrumbs, herbs, and spices serve as the filling for these stuffed pork chops. 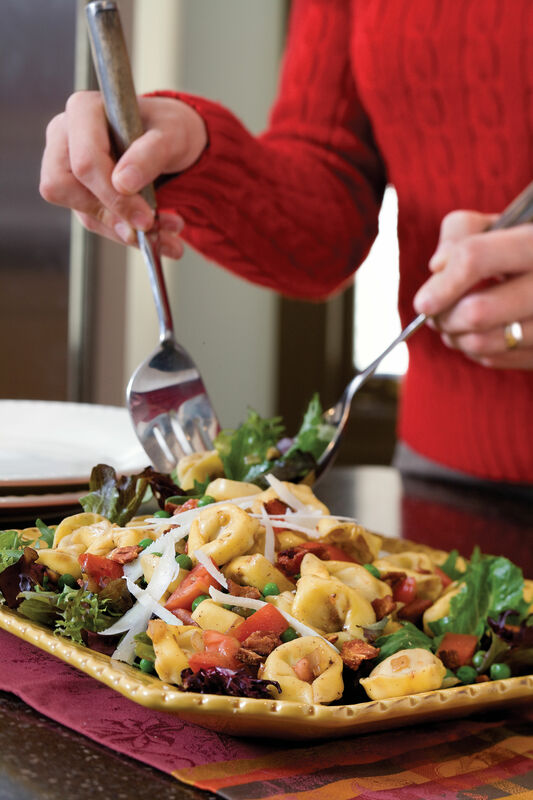 And don’t worry – cooking this dish is not nearly as complicated as directing an orchestra. 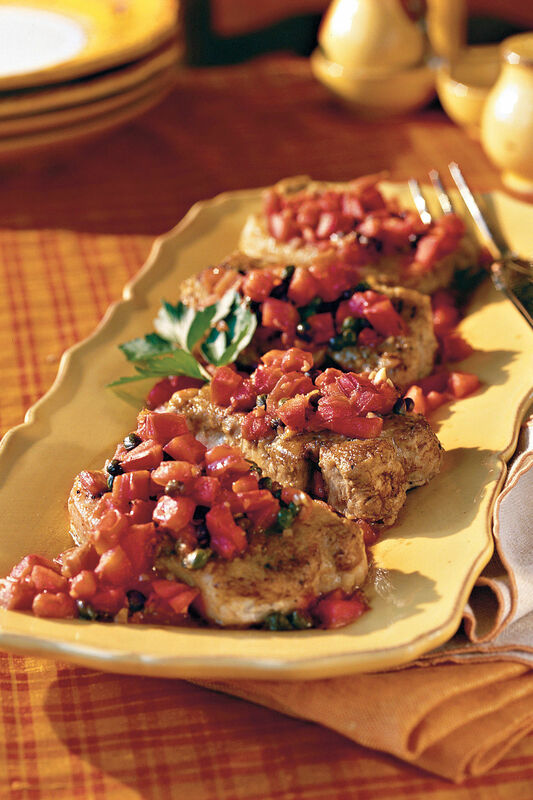 Simply stuff the pork chops with fresh Italian ingredients, and stick them in the oven for 40 minutes—it's that easy!